An individual who is retiring on a limited budget may want to consider retiring in a foreign country. Generally speaking, the cost of living abroad is much lower than living at home. While one will need to adjust to different food and a different culture, living abroad can offer on the opportunity to retire comfortably on a limited pension. This article will compare the cost of living in the United States with that of several popular retirement spots. At present, the cheapest state to retire to in the United States is Kentucky. The average retiree in this state can expect to spend about $2,030 a month (this figure does not include rent or mortgage payments). Louisville, Kentucky also has the cheapest median price of housing in the United States, at only a bit over $130,000. There are several places where one can retire in Mexico. One popular retirement city is Cancun. It is a beach town with beautiful weather year round. The overall cost of residing in Cancun is significantly lower than in Louisville, KY. According to Numbeo.com, a site which compares cost of living based on research and surveys, consumer Prices (including rent) are over 17% lower in Cancun than in Louisville, KY. Restaurant prices are a bit over 4% lower in Cancun than Kentucky while the cost of groceries in this small, pleasant Mexican town is only 63% of what it would cost in Kentucky. Most utilities in Cancun are cheaper than they would be in the US, although internet costs are higher here than they would be in the States. Quito is the capital of Ecuador. While it is a pleasant place to retire to, it is probably the most expensive city in Ecuador. A person who truly wants to save money retiring abroad should consider retiring to a small city or town in this country. Even so, the cost of living in Quito is lower than in Louisville, KY or even Cancun, Mexico. Consumer Prices (including rent) are about 32% lower in Quito than in Louisville, KY. The cost of groceries is about 30% cheaper in Quito than in Kentucky, although groceries in Quito do cost a little more than they do in Mexico. Restaurant prices are much lower in Quito than in Kentucky or even Mexico. The only downside to moving to Quito is that the cost of buying a home is quite high. 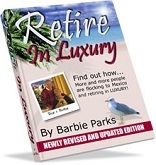 Thailand is one of the most popular countries to retire to. It is a beautiful, exotic country with gorgeous weather, scenic beaches and a very low cost of living. While rent and real estate is cheaper in Kentucky than in Bangkok or other parts of Thailand, the overall cost of residing in Thailand is much lower than it would be in Kentucky. Utilities in Bangkok cost less than half of what they would in the U.S. Consumer prices (inclusive of rent) are 27.59% lower in Bangkok than in Kentucky. Restaurant prices are only half of what they would be in the United States while groceries are about 33% lower in Bangkok than they would be in the US. While Kentucky and other states in the United States have a relatively low cost of living, popular retirement destinations such as Mexico, Thailand and Ecuador are cheaper than even the cheapest state in the US. 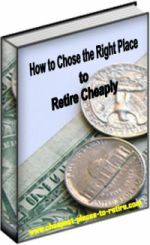 A person who is retiring should consider this when choosing where to retire. Retiring abroad may require a change of lifestyle and an adjustment period but it can save one thousands of dollars every year.